A special relationship between a surrogate and intended parents often forms during a pregnancy. But what happens once the baby arrives? 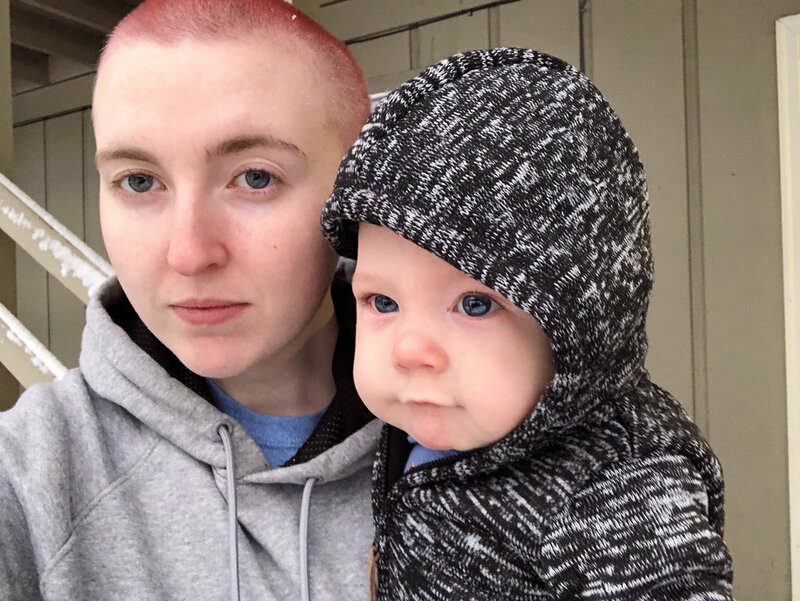 Written by Kristin Marsoli, Marketing Director at Circle Surrogacy, with new parents Byron and Matt, and surrogate Misty and her husband Blake. 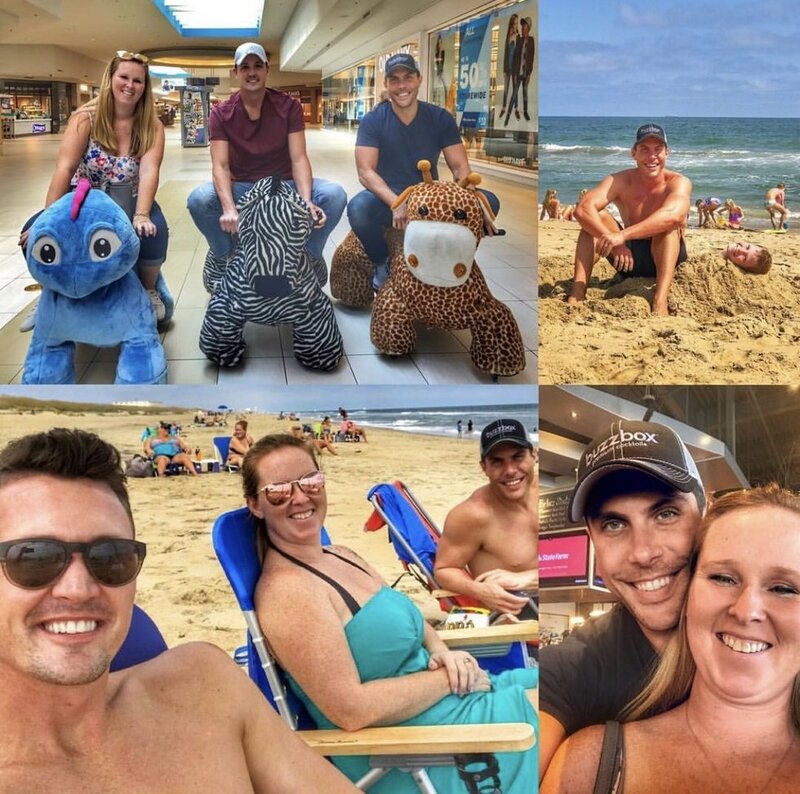 Building your family through surrogacy gives you the opportunity to connect with people with whom you may not have met in your day-to-day life. When these families are connected, deep bonds can be created, and long-lasting relationships formed throughout the pregnancy. It's these deep bonds that carry you through to the birth of the baby and beyond. New parents Byron and Matt, and their surrogate Misty and her husband Blake, share a bit about their surrogacy experience and the unique relationship that formed during the pregnancy and birth. They also discuss ways for keeping the relationship alive between the surrogate and intended parents. When we first decided to have a child through surrogacy, we discovered through talking with friends that the general perception of a parent/surrogate relationship was fairly transactional, when in actuality many surrogates (and egg donors) do this because they've been touched by infertility at some point in their lives – through their friends or families – and that's what has encouraged them to want to do this for others. Going in, we didn't know what to expect, but we did know in the way we chose the women we worked with, that we wanted to work with women who were at least open to having a relationship with us and with our child. 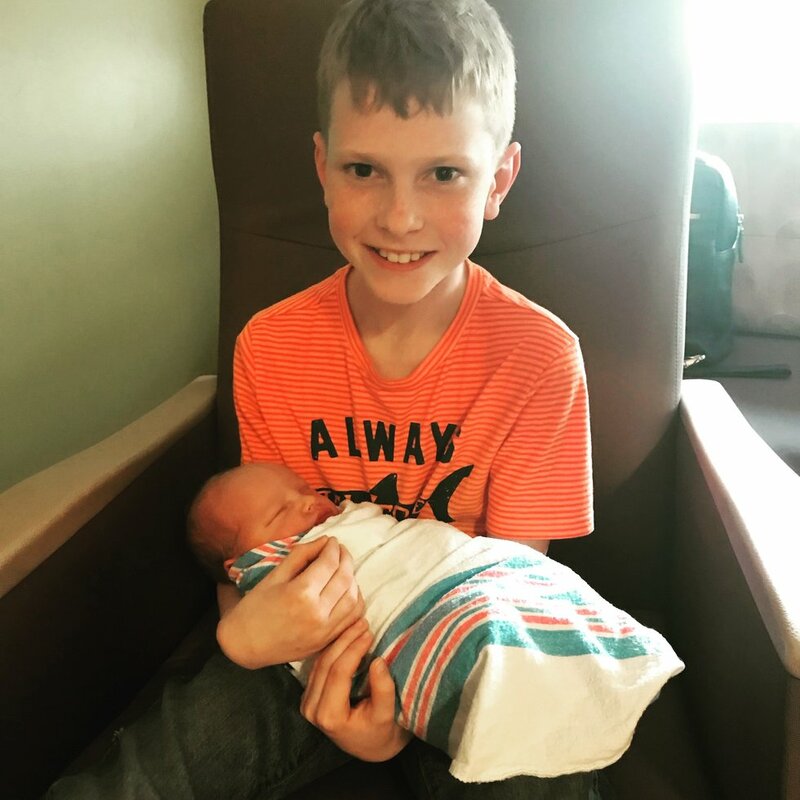 The end result was phenomenal – not only did we grow our immediately family with a beautiful baby boy – but we also grew our extended family through Misty, Blake and their kids. We loved getting to know Misty's kids and her husband, Blake. We had no clue how this whole thing was going to work, but we were open. While some of our friends who have gone through surrogacy have kept a wall up with the women they've worked with, our journey was amazing because we were open to the wall never being there. While we respect that some of our friends did not want relationships like we had with Misty and her family, we were open from the beginning to whatever type of relationship was to organically develop. Besides the birth of our son, getting to know Misty and her husband and their kids has been the next best thing in this whole process. From the beginning, Matt and Byron were different than the first two couples I helped. When I went up to see them in New York, the minute they opened the door it was amazing. They felt like family. I knew I could trust them and lean on them. My husband is in the navy and away a bit, and I soon found that Byron and Matt were like my family. In January, we lost our dog. This was especially hard because with Blake being gone so much, our dog was more like a best friend to me. I was devastated, and the first people I called were Byron and Matt. They talked to me and they made it all ok. I remember thinking that I had found a family to help me through something life changing like this when my husband wasn't available. But our relationship goes beyond just the four of us. They even made my kids feel like part of the process. Before Byron and Matt even met my kids, they sent them huge birthday balloon bouquets that were taller than they were! 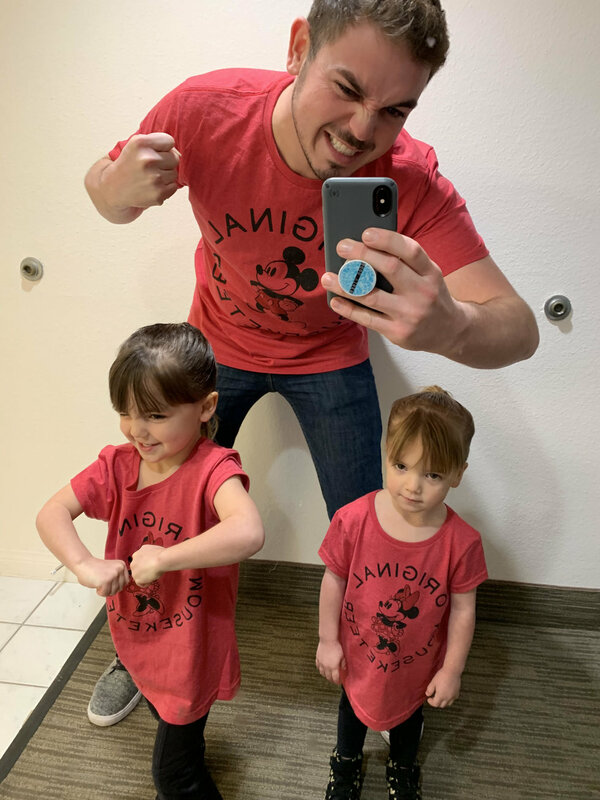 My kids are beyond excited Byron and Matt and Little Byron are part of our family. They talk about them at school, "Our G'uncles are coming to visit! Our G'uncles had a baby!" They're so proud; they want to see every video and every photo. What sticks out to me, is the first time I saw a picture of the guys: Byron was on his iPhone and Matt was doing his (Byron's) hair. I was like, "What the heck?" But seriously, when Misty went up to visit them in New York she FaceTimed me to say good night. 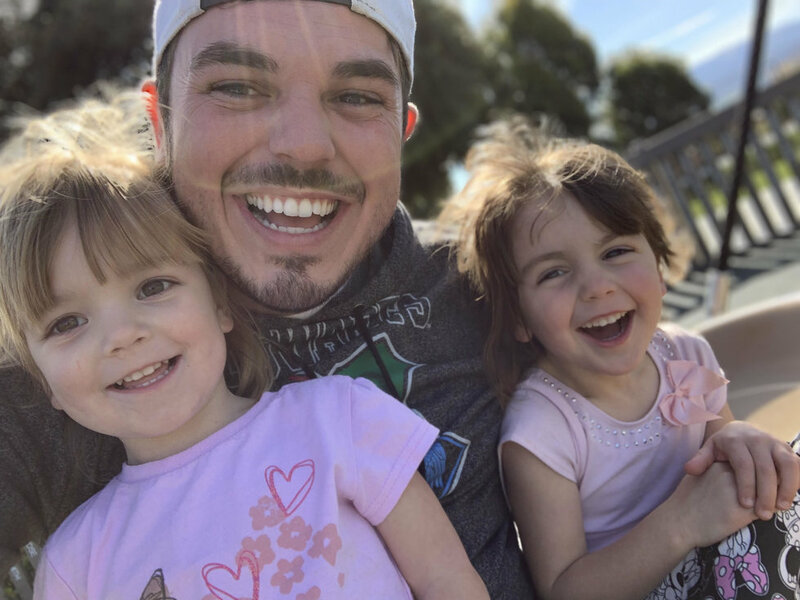 While we were talking, Byron took the phone away from her and joked around with me, and was open to who I was, and promised that they would both be there for my wife while I was away. I couldn't have asked for a better couple for my wife to carry a child for. I was nervous to meet Blake! But when I saw him he gave me a big bear hug and we immediately felt comfortable with him. It was such a nice surprise with how comfortable he was with us and our relationship, and our relationship with his wife. And, truthfully, Blake has been the comedic relief during our journey! When he called to congratulate us, he congratulated us for knocking up his wife! We didn't know what to expect, but it's been a nice piece of the journey outside of our relationship with Misty. You go through so much together on a surrogacy journey. I learned early on I could lean on them. When I found out the first transfer didn't work, I was so scared to call them because I didn't want them to feel like I had failed. I was so upset and the first thing they said to me was, "It's not your fault." I immediately felt better; they cared more about how I felt more than how they were feeling. I was so nervous for the second transfer; I just wanted it to work. We started out with really low numbers. But when we got that first confirmation and the number 351, the pressure was gone! I felt like I was finally giving them what they really, really wanted. When we heard those low numbers, we were disappointed. But Misty said to us, "Yes, the number was low, but give it a few days." And we were like, she's done this before, she knows her body. I kept saying to Byron, even if the number is low, she KNOWS. She knows her body. That's one thing we learned through all of this: a woman knows her body. Trust her. It reassured us throughout the rest of the pregnancy. We've been happy together, sad together, joked together. We've always been on the same page. Women, especially Misty, who help families like this, they are special. My mom and Matt's mom call Misty "Angel Mother", and we think that about sums it up. With Misty's previous surrogacies, she was friendly with the intended parents. When we started this journey with Byron and Matt, I asked her if she thought this journey would be different; if she thought they would be around after the birth. And while Blake was having that conversation with Misty, we were at home having the same conversation. I asked Matt, "Do you think they're going to keep us around?" That conversation was happening on both sides! 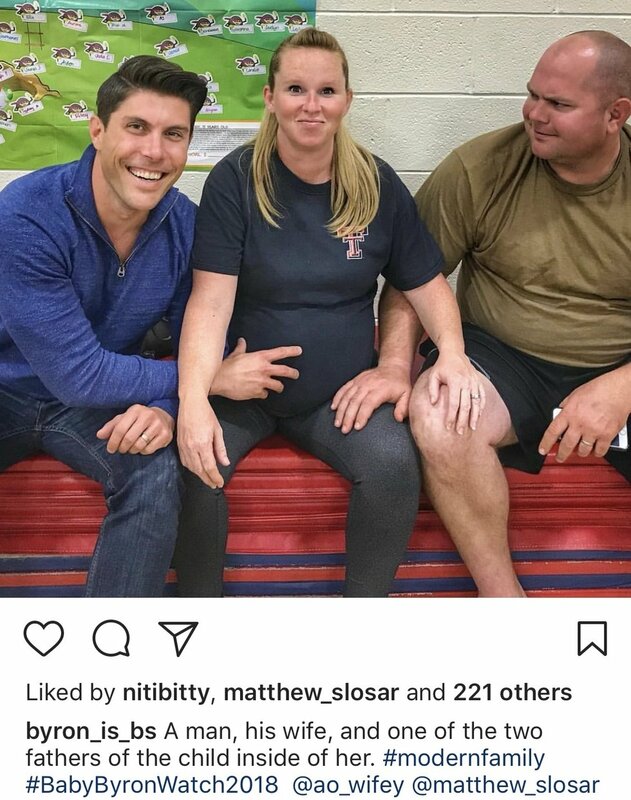 Now that Baby Byron is here, how are Byron and Matt keeping up their relationship with Misty? "We talk every day," Byron shares. "And we send pictures and videos. But not just about the baby. 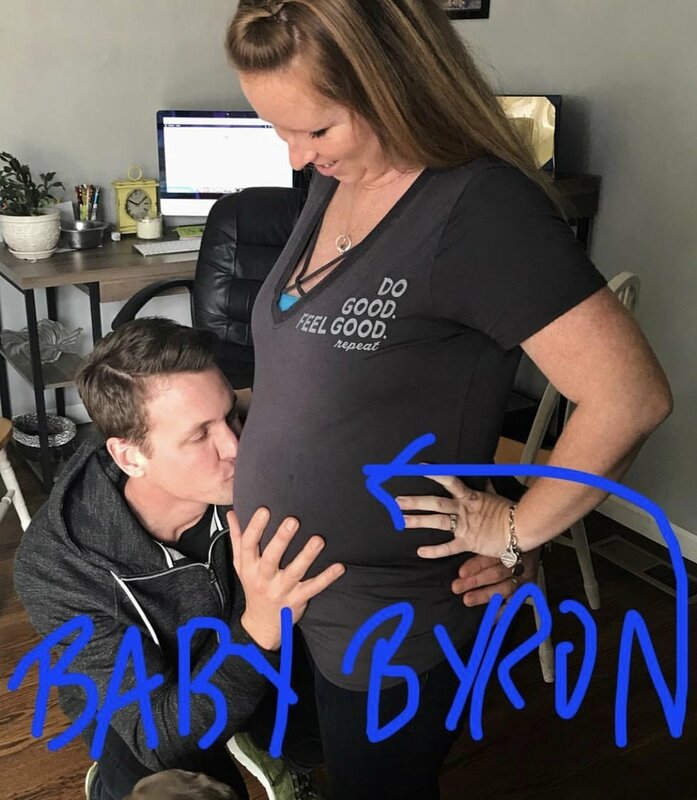 This is now about our families, not just Baby Byron, and while he brought us together with the Misty's family, it's now something so much bigger. 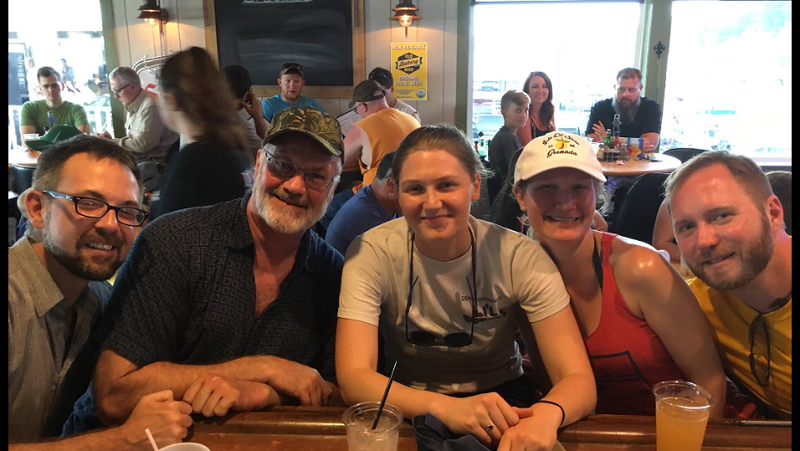 We bug Misty and Blake every day about when they're coming to visit this summer, and talk about how much fun it will be to all take family vacations together someday." Your relationship with your surrogate is what you make of it. Many surrogates and intended parents remain as close as family (sometimes closer!) after the baby's birth. 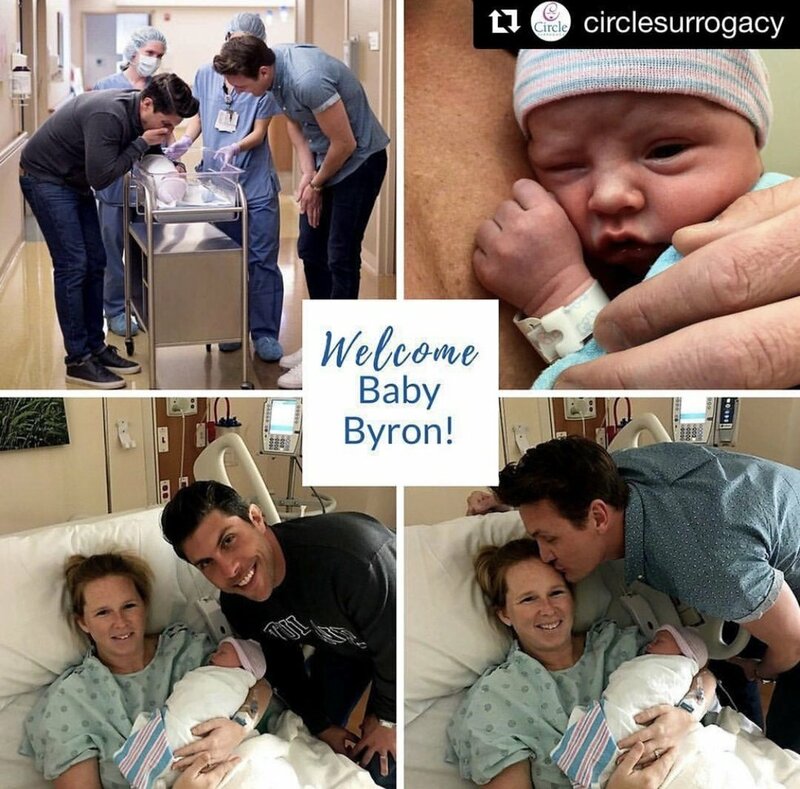 We think Byron said it best: "When we started working with Circle Surrogacy and creating our profile that would eventually lead to Misty choosing us, we had to answer the question 'What kind of relationship do you want with your surrogate post birth?' Some of our friends told us to answer, 'Just put that you'll add them to the Christmas Card List.' 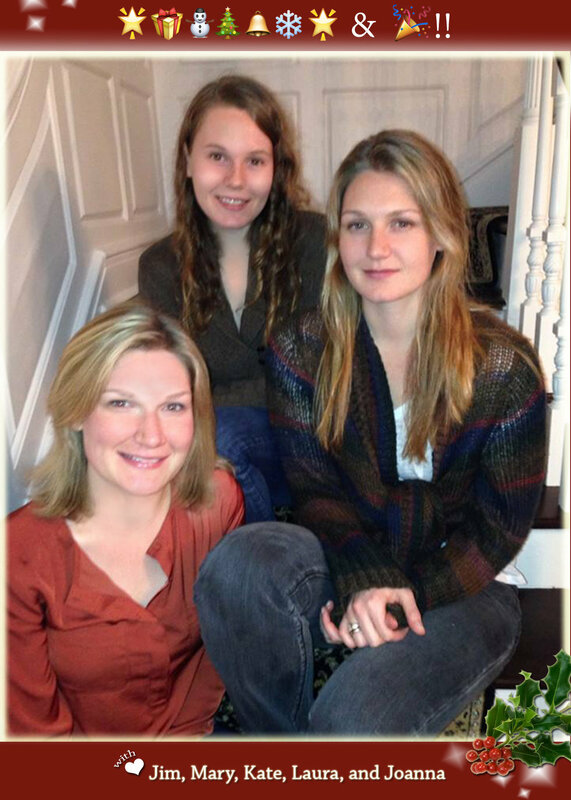 But as we grew through this process and fell in love with Misty and her family, we realized that Misty will be AT Christmas and so many other important holidays and event. That's what feels right." Learn more about becoming a parent through surrogacy with Circle Surrogacy. If you are a gay man interested in surrogacy, and live in or around the Chicago area, you will want to attend this event. Join Men Having Babies at their next surrogacy event in Chicago on April 13-14. 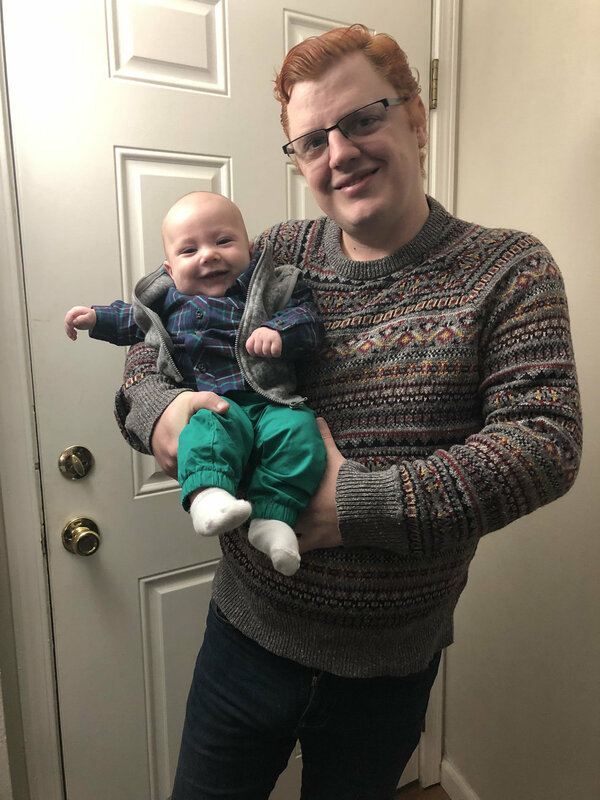 You will hear practical and peer advice from those who have become dads through surrogacy; be introduced to a wide range of leading service providers from across the United States and Canada, as well as opportunities for break-out sessions and private consultations. There will be a Q&A period as well as social opportunities to meet with others who are also beginning their journey. In-depth programs will offer insight on insurance, budgeting, and the medical and psychological aspects of surrogacy. 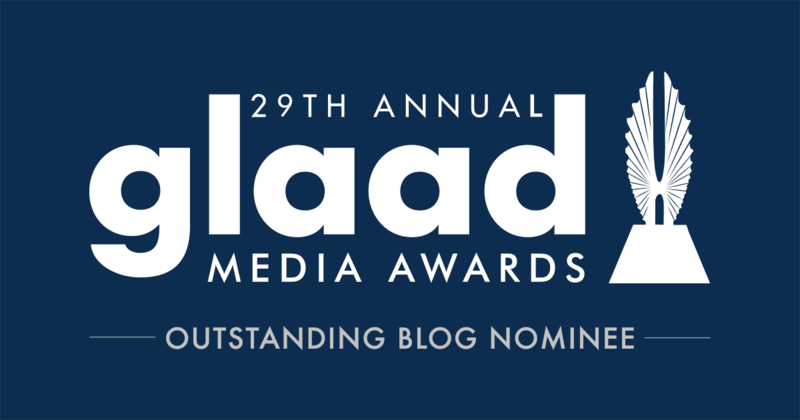 You will also learn about the Gay Parenting Assistance Program which helps put surrogacy within reach for many gay dad families.